Check out The Sandwitches with Art Museums, The Soft Bombs and Rachel Fannan (of Sleepy Sun)!!!! 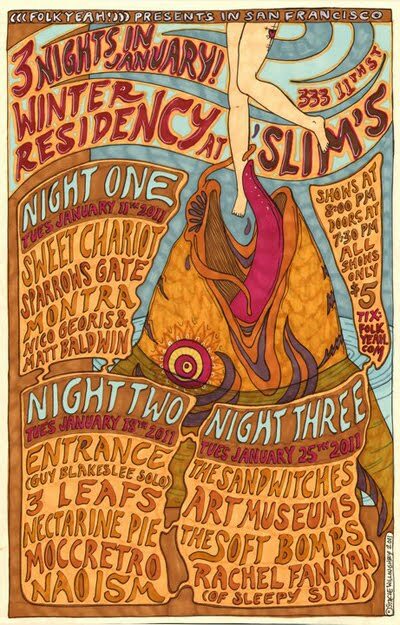 This is part of the Folk Yeah residency at Slim’s this month. All Ages 5 BUX. You can’t really go wrong. 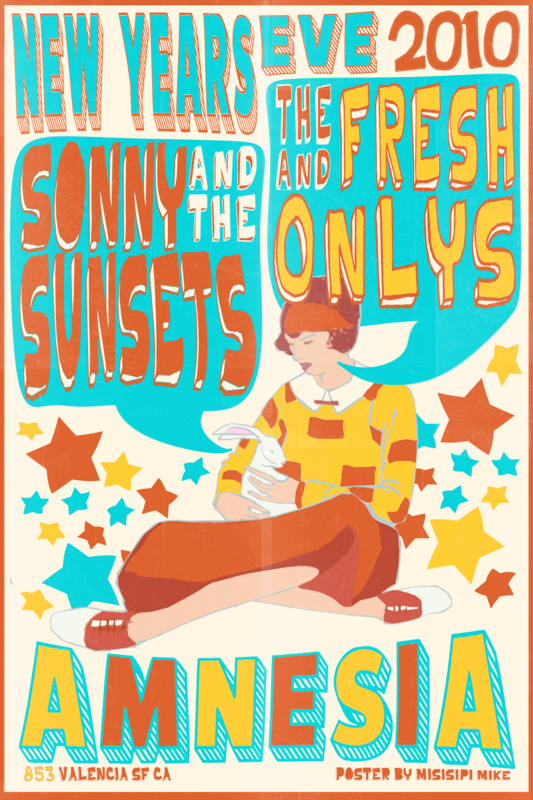 NYE at Amnesia with Sonny and the Sunsets and the Fresh and Onlys! 100 Records is Sonny Smith’s (Sonny and The Sunsets) mad world of imagined rock created with the help of musical friends: Ty Segall, Tim Cohen (Fresh & Onlys), Heidi Alexander (The Sandwitches) and more of San Francisco’s best and brightest. Amnesia hosted a seriously awesome show last friday. Nectarine Pie, Nodzzz, Wild Choir, Sonny & The Sunsets, and Golden Triangle all stopped by, and no one disappointed. The small bar was packed from beginning to end, and for good reason. From Nectarine Pie’s psychedelic jams, to the dual tambourine assault of Golden Triangle, the whole night was overwhelmingly cool, even if it did get a little hot and smelly in there. P.S. Be sure to check out Weekend, a solo set by Ty Segall, Terry Malts, and Whirl this thursday at Milk. The new Boyz IV Men record “Sweat” out on Turn Up in August! We’ve decided to start posting pics and words from and about shows we like happening in San Francisco. Here’s a handful of great photos from our new friend Mark Quines from a show the Eagle that went down back in January to wet your whistle…. more to come!